Welcome to Day #3 of Chocolate, Caramel and Toffee Theme Week. 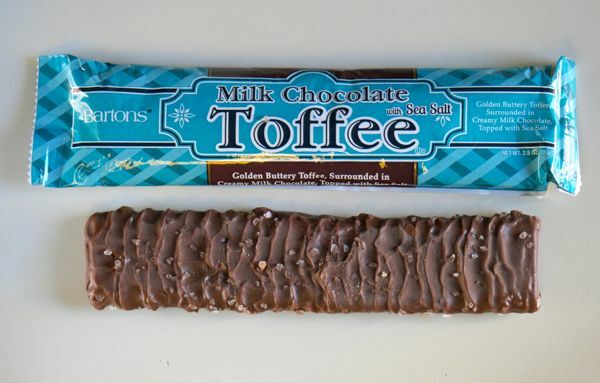 This Milk Chocolate Toffee with Sea Salt bar was made by Bartons Confections (Allentown, PA). 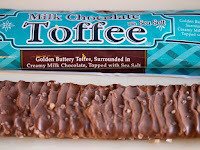 The bar's gold toffee center had a uniform, soft crunchy texture. 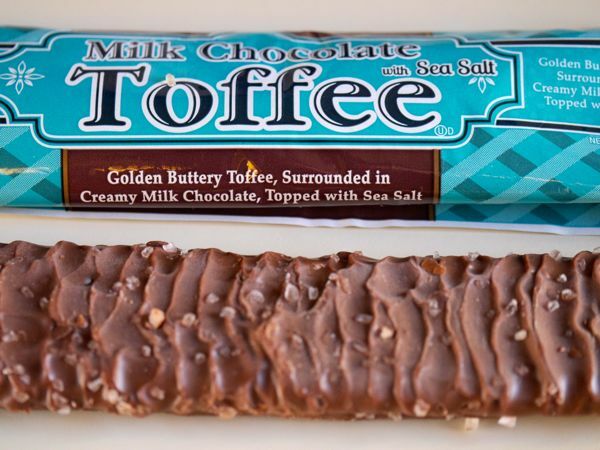 The buttery toffee core was covered in milk chocolate, and sprinkled with small crystals of sea salt. 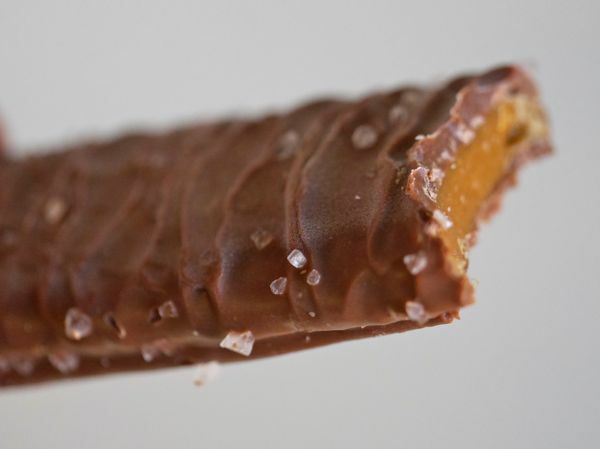 Sweet, but I liked the tiny bursts of salt, which helped to balance out all the sugar—the number one ingredient of many toffee and caramel chocolate confections. As I say goodbye to salt in chocolates today, at least for awhile, I believe I'll be taking smaller bites of items this week's sweet line-up.